Currently in showrooms and priced at $141,695 including $995 Destination & Handling, the MY2016 BMW i8 features Laser Lights available as an option for the first time in the US. The laser light option was available in Europe since the i8 went on sale in 2014, but in the U.S., FDA has been holding the feature hostage – until now. FDA is the governing agency responsible to approve medical devices, a category where the lasers fall under in the US. 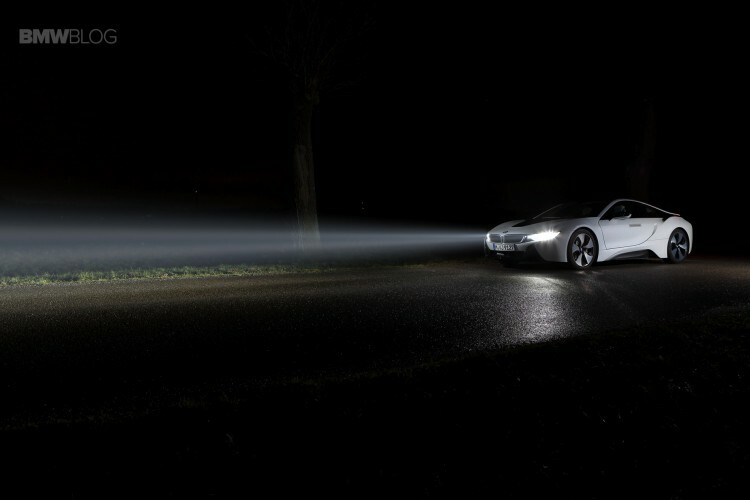 Laser Light technology available in Europe for the new BMW i8 where it costs 9,500 euros. Earlier this year, BMW said the laser lights could be retrofitted after delivery if need be and a kit will be offered for U.S. customers, at an extra cost. Compared to the standard LED lights, the optional laser lights ensures a high beam range of up to 600 meters. 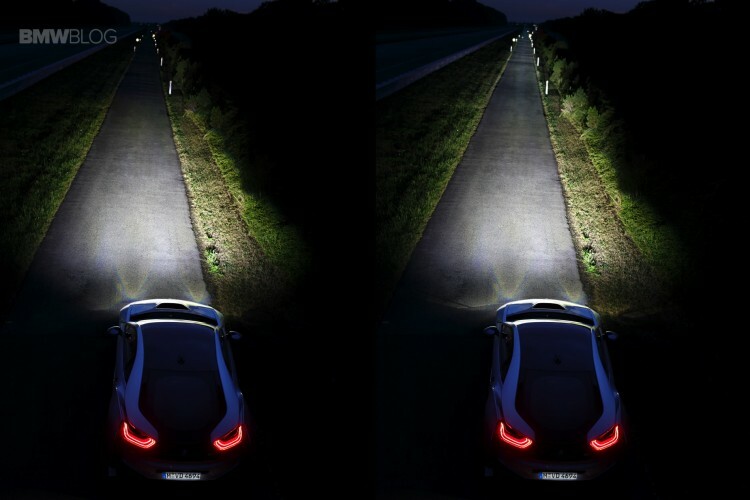 This means that the already high illumination range of the modern LED high beam is doubled. Thanks to the new laser technology, it is possible to increase energy efficiency by a further 30 percent compared to already highly power-saving LED light. 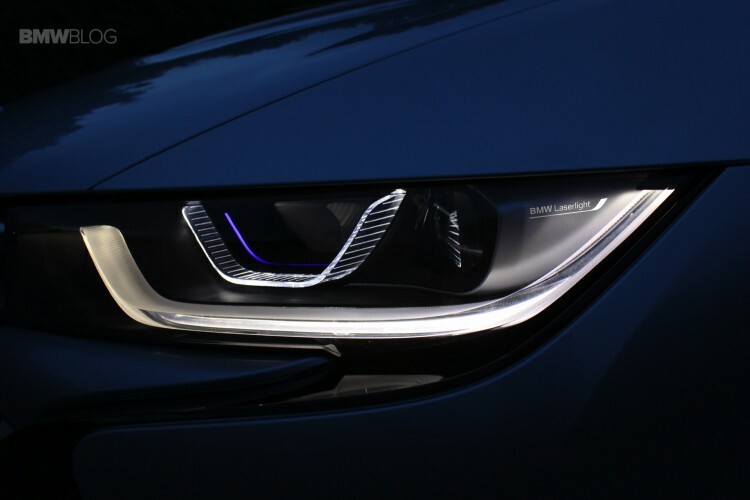 The U.S. market will get a slightly modified version of the laser tech, twice stronger than regular headlights compared to three times as they are in Europe. Furthermore, the laser lights in the U.S. for the i8 will not have the blue lights and they will automatically turn off for incoming cars. Pricing for the laser lights feature will be announced shortly.